Soroptimist International – what does it mean? The name Soroptimist was coined from the Latin soror meaning sister, and optima meaning best. Soroptimist is perhaps best interpreted as ‘the best for women’. From the founding of the first Soroptimist club in Oakland, California, in 1921, through to the present day where over 3000 clubs are flourishing throughout the world, Soroptimists have continued to strive to achieve ‘the best for women’ in every sphere of their lives. 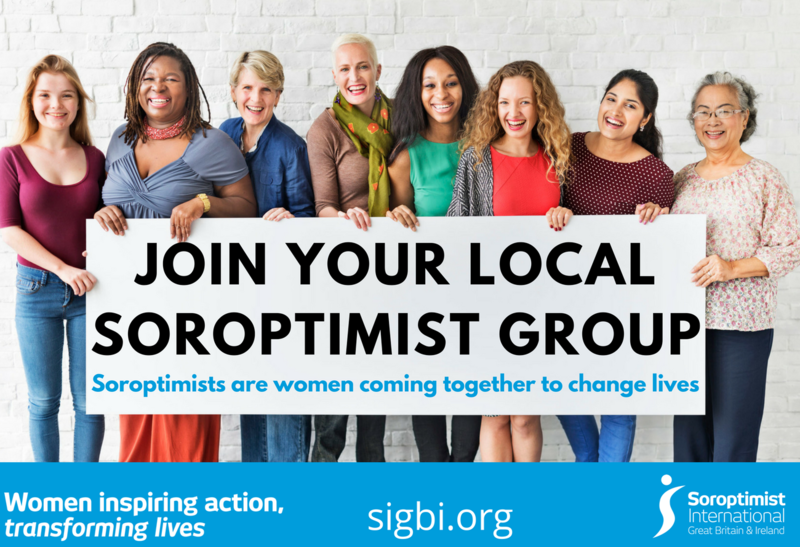 All Soroptimists are members of the umbrella organisation Soroptimist International, which is a world-wide organisation for women in management and the professions, and who want to make a difference. The Soroptimist movementis truly international, and whether at home or abroad, on business or pleasure, a Soroptimist’s card and badge will give her entry to clubs all over the world. SI Thames Valley Club was chartered in 1990, and is part of the London Chilterns Region of the Federation of SI Great Britain & Ireland. The club usually meets in the Lantern Room of Bourne End Library (next to the Community Centre), SL8 5SX, at 7.30 pm on the third Tuesday of the month – but please check our Club Programme page. Members make new friends, participate in voluntary work and enjoy a variety of social events. Why not visit us to find out more about us? Bourne End Buckinghamshire is on the Thames between Cookham and Marlow, accessible from the M4 and M40 and by rail (branch line from Maidenhead to Marlow).